Additional trim options for our Premier Cru Wood Wine Rack Kits. Base & Crown already come with our wine racking this item is only if you require additional. These items must be ordered and shipped with your Premier Cru Wood Wine Rack Kits order. Height of the additional trim pieces ordered will be determined by the height of the racking. Please note 7ft trim can not be shipped with the 6ft racking system. 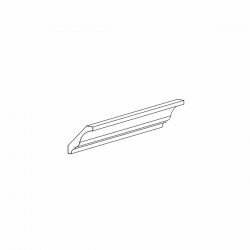 6ft or 7ft lengths of trim will be shipped depending on the height of the racking ordered. Long lengths of Base & Crown are automatically included with your racking order. 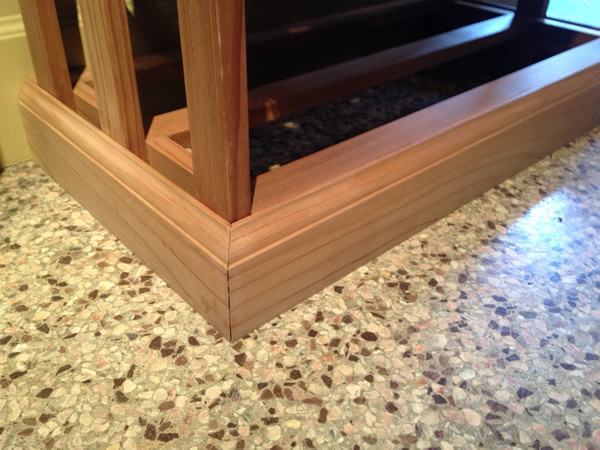 Long lengths allows for seamless look to the trim within your cellar. Any trim on this page is only if you need extra. **Mitred Return Trim - If ordering just one of two racks and you want the crown and base to be specifically cut to width of the rack. 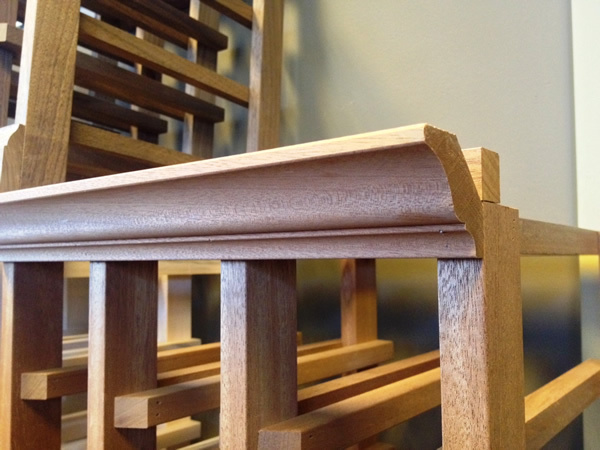 This option will also include the return trim on the upper and lower for both sides to be mitred. If this option is not specified then you will be supplied with ample crown and base to cover face of racks and to fashion your own returns. Most people would prefer to just have long lengths shipped with their order as opposed to this option.